Costa Rica Dolphins and Whales - When should you come? When should you go Whale and Dolphin Watching? Costa Rica Dolphins and Whales come in all shapes, sizes, colors, and will be a great addition to your trip. You see them all over the map but specifically in places like the Golfo dulce, Central Pacific, Guanacaste, Osa Peninsula and the tropical waters of the Caribbean. Seeing a wild animal in its natural habitat is always a beautiful thing, but seeing a whale jump from the water is a moment of pure magic. Whale and dolphin watching is absolutely awesome but there are some precautions we need to take to be safe. – Pack for comfort, you might get wet so bring a light water resistant jacket and a hat to prevent sun burning, also sun screen. – You might not see whales, even though you have paid for the tour it doesn’t guarantee you will see whales or dolphins, it is all up to the creature if they want to show up or not. – Look for experienced tour guides, they will have proper boats and knowledge of the whales and act much more professional. We can help with that! Whale watching has become a very popular tour, and everyone is amazed at the sight of these amazing marine mammals. 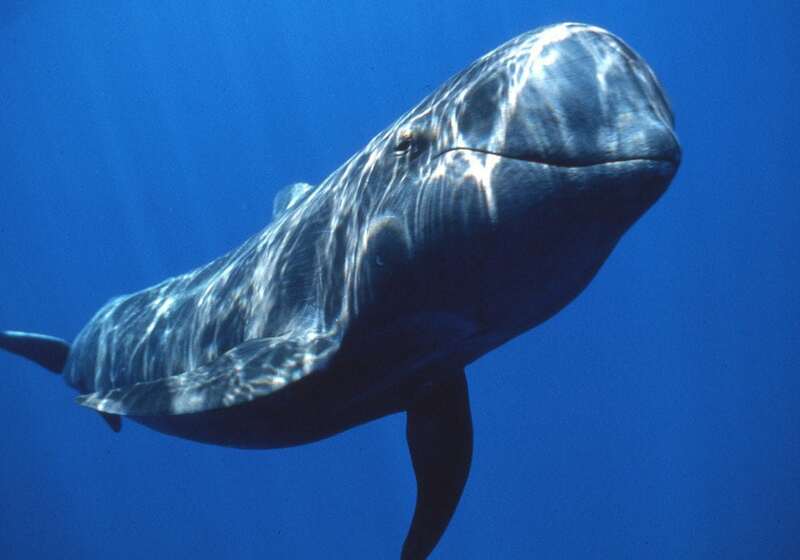 The main species of whale that you will see in Costa Rica is the Humpback whale, Pseudo Orca Whale, and Pilot whales. 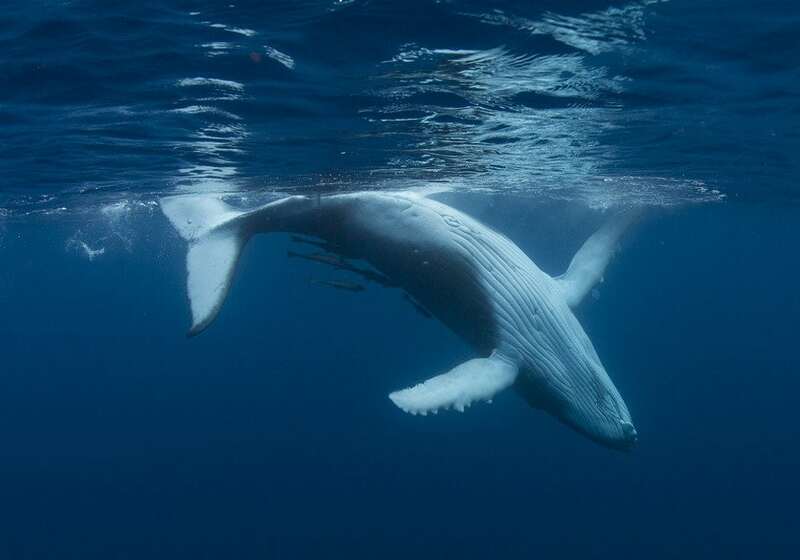 There are two sizes of humpback whales, ones from the northern Hemisphere and southern hemisphere. From the North, they reach sizes of 15 meters and weighing in at almost 35-40 tons. Whereas the southern whales tend to be bigger reaching sizes of 18-19 meters long and weighing 45-50 tons. This is very impressive as we don’t see animals of this size every day. Whats the best time to see these whales? Northern Hemisphere whales show up like clockwork between December to April. This is one of the best times to visit Costa Rica as it is the dry season, the weather is gorgeous almost everyday. 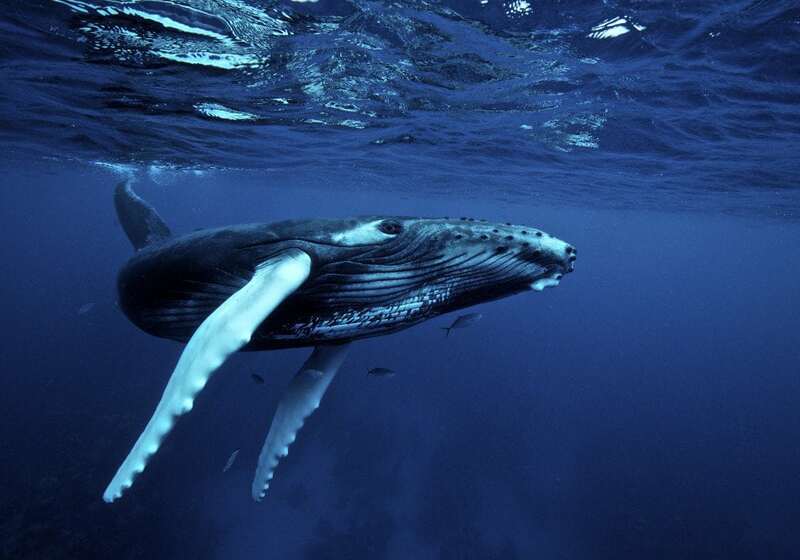 Southern Hemisphere whales travel all the way from the Antarctic to Costa Rica between July and November. One of the most iconic places to go whale watching is Marino Ballena National Park in Osa Peninsula. This national park is famous for its whale watching tours as well as part of the most biologically diverse place on the planet! Found as far north as Canada and the North pole they Migrate south to give Birth. Normally traveling in pods of two or more whales. They can be seen as far south as the Antarctic, and migrate up to meet in a large pod. Also seen Travelling in a pod of 2 or more. 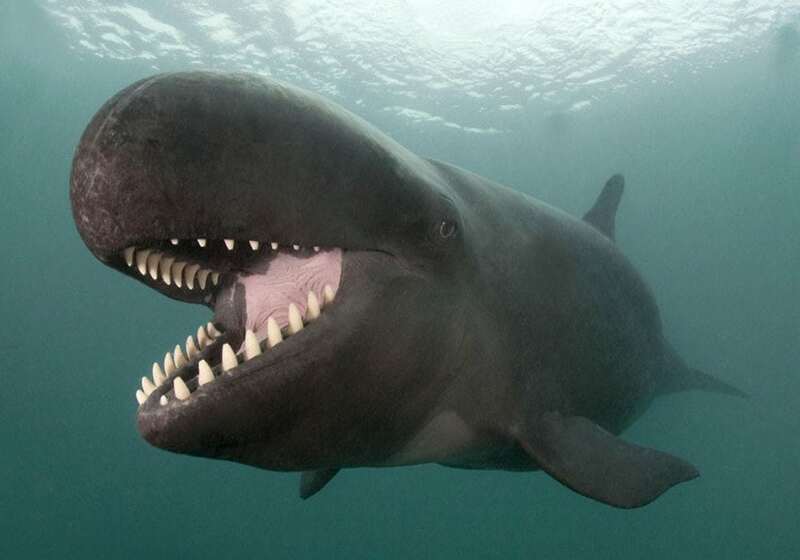 The Pseudo Orca Whale has a large set of teeth and looks strangely familiar to the Killer whale. Also called the Fake Killer whale. One of the best spot to see these guys is near Cocos Island, they have a rounded nose and can be found on the Pacific side of Costa Rica though not very common. We all love dolphins, and they are more than happy to see us, they come in a large variety here in Costa Rica. Although you will likely see a lot more of them on the Pacific side than the Caribbean. 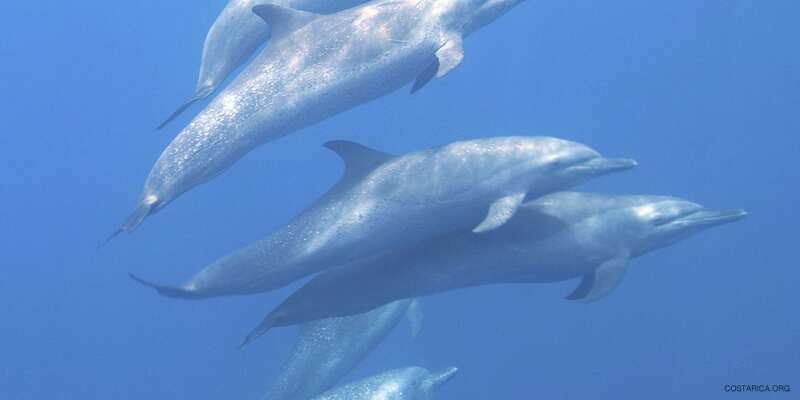 On the Caribbean side of Costa Rica, you will likely only see the Bottlenose whereas on the Pacific you can potentially see the Common Dolphin, Bottlenose Dolphin, Risso Dolphin, Roughtooth Dolphin, and Spinners. 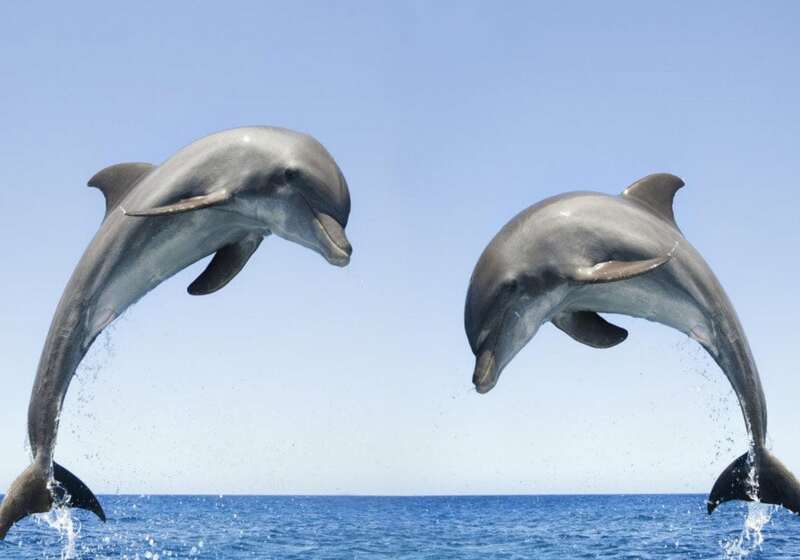 Whats the best time to see these Dolphins? Dolphins are common to see year round. They gather around boats and will follow you. This is great as almost any trip out to sea you will have the pleasure of these playful creatures beside you. 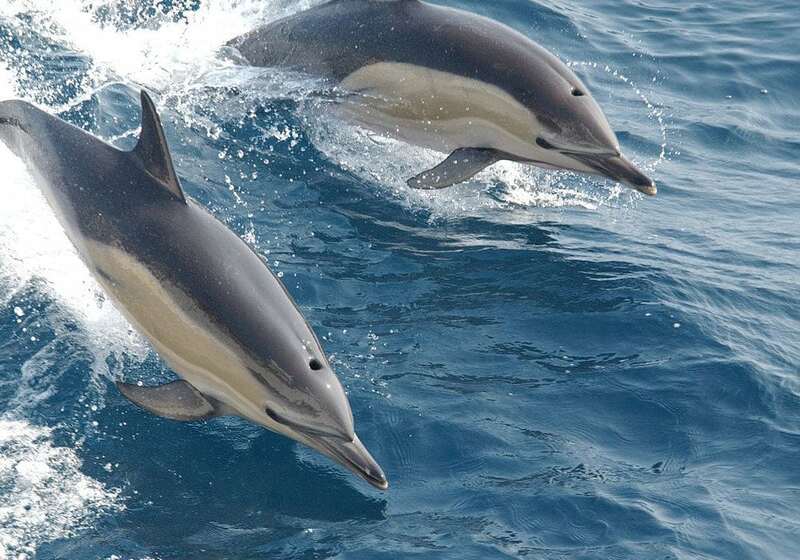 The common Dolphin is well, common, you see them pretty much all over the Pacific Coast of Costa Rica. They are Medium sized with a dark back and white belly. This is unmistakably the most common dolphin worldwide and in Costa Rica, you will see them on both the Caribbean and Pacific Coasts. 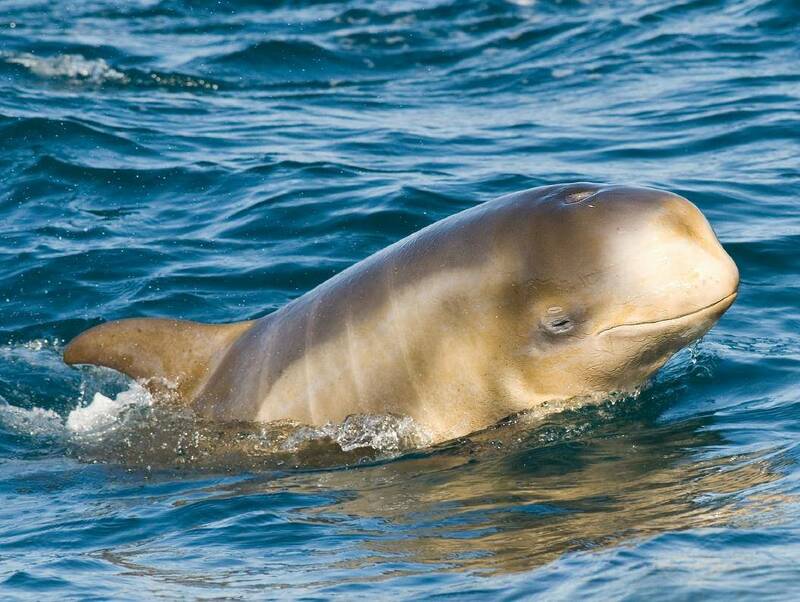 Don’t mistake the Risso with a Beluga Whale even though they look alike it is actually a dolphin and they are considerably smaller. The Rouphtooths name gives away a unique feature, it has very rough teeth with some 20-30 teeth in each corner of the jaw. 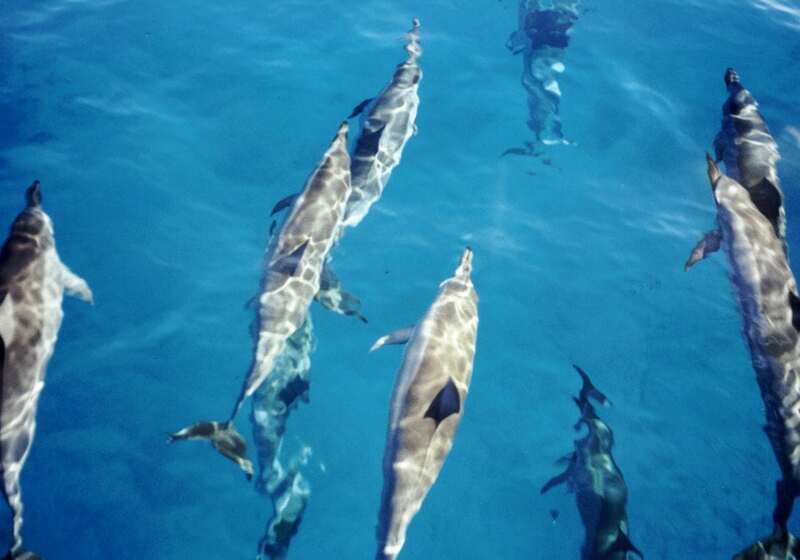 Spinner Dolphins are lively and playful they are usually in a large group up to a hundred dolphins at a time. You will see them jumping flipping and spinning out of the water. 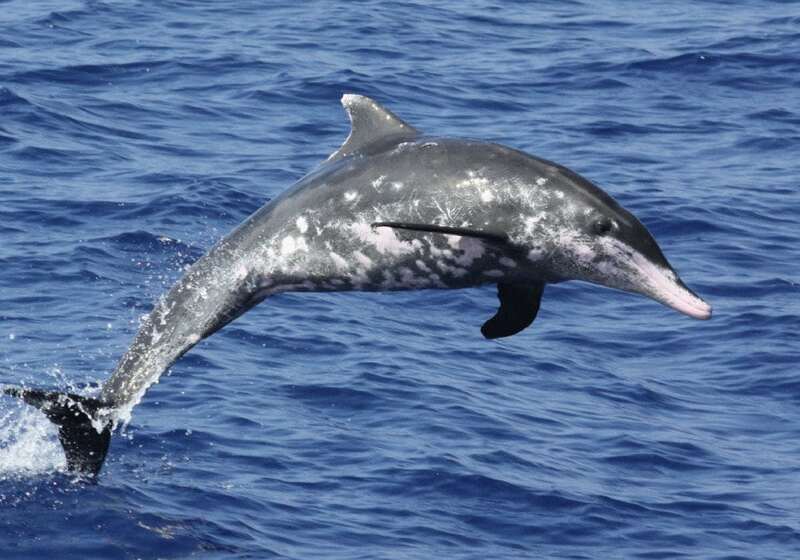 Now that you know when to come see the Costa Rica Dolphins and whales why not plan your trip. Splashing through the waves and seeing these majestic creatures is only a click away.